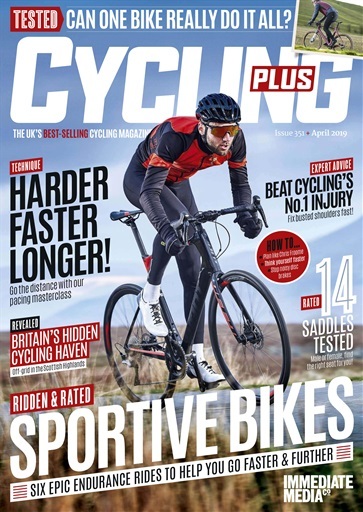 Cycling Plus is the UK’s number 1 road cycling magazine, featuring everything a cyclist needs to know and providing readers with unparalleled levels of expertise and inspiration. Each issue is packed full of expert tips on how to get the most out of your ride with reviews on the best gear and kit to support you on your competitive route or adventure. 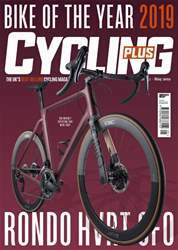 Featuring the latest insider advice direct from the pro cycling world, exclusive bike and gear reviews, special offers and competitions - Cycling Plus covers all aspects of this great sport. This level of expertise has made it the perfect manual for the modern cyclist - ideal to help you reach your performance goals. Whether you’re just starting out and are looking for ideas and inspiration or you’re an experienced cyclist looking to skim time of your PB, Cycling Plus magazine is the ideal subscription for you. Get set for a summer of long rides with our test of six of the best sportive bikes designed for comfort and speed from Trek, Specialized, Felt, Cannondale, Cervélo and Giant. Plus we talk to expert coaches from the WorldTour about how to get your pacing strategy spot on, so you can finish your rides with a flourish rather than groveling home. Elsewhere we look at 14 saddles for male and female riders and advise you on how to select the right perch for your needs. We also check out a new, more modestly priced smart trainer from Tacx, pit folding commuter bikes from Tern and Bickerton against each other, and get some serious medical advice on how to get riding again after the cycling rite of passage that is the shoulder injury. Plus we head to the Scottish Highlands and dodge the game hunters to discover the cycling paradise hidden among the Ordnance Survey's worst-selling map. 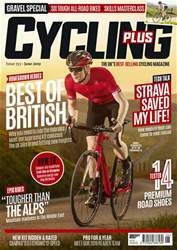 Since its creation, Cycling Plus has become the UK’s best selling road cycling magazine. First published in 1992, it has built up 25 years of cycling expertise with the sole purpose to support and provide readers with the best road cycling buying advice and inspiration. Cycling Plus is owned by immediate Media and has been awarded the prestigious PPA Specialist Consumer Magazine of the year. The writers are passionate about reviewing products honestly and testing them in the real environments they’re supposed to be used for, they’re dedicated to recommending products that work incredibly well, not just what’s fashionable. Each month gain insight into how cycling professionals prepare and achieve success as well as the best routes from around the world, waiting to be discovered by you. So if you ’re passionate about cycling and when your next adventure will be - Cycling Plus is the perfect road cycling manual for you.